I am a teacher, a purpose-finder, a guide, a healer and a wisdom seeker. The mysteries of the universe captivate my soul and I yearn to know more. Do you know that feeling? This desire has driven me to spend time deeply researching the ‘point of it all’. From a personal ‘breakdown, to breakthrough’ experience, I now find myself here, now, right where I was always destined to be. I would like to share more of my journey with you here. Through walking the path of my soul truth, living it, stuffing up (often) and re-programming constantly, I now find myself deeply at peace. Why? Because I have finally found my own purpose and my own soul direction. But, I can’t/won't stop there. I am guided to show the way to all who choose to awaken their consciousness. Is this you? Do you want to ignite your truth? I am committed to equipping myself with the tools of my own personal, deeply-sought and treasured wisdom. It is through this journey of discovering my own truth, that I intend to serve and guide you. Will you allow me to guide you to ignite your true essence? My sense of servitude runs deep. I am thrilled to be guiding clients through their healing, however that looks to them. My studio sanctuary can be found in Sherwood, Brisbane. I would be honoured to be your guide. Sarah is shifting the paradigm of energy medicine through empowering clients to unmask and awaken their own innate healing capacities. Using Kinesiology as the framework, Sarah interlinks her client’s subconcious messaging with her own inutitive gifts to reveal and release blockages. Resulting in powerful shifts in the body, mind and soul. If conventional medicine is leaving you with unanswered questions, it may be time to look at your health from a holitsic perspective? What really is the issue or cause? Your body knows the answer, and Kinesiology is the tool to uncover it. 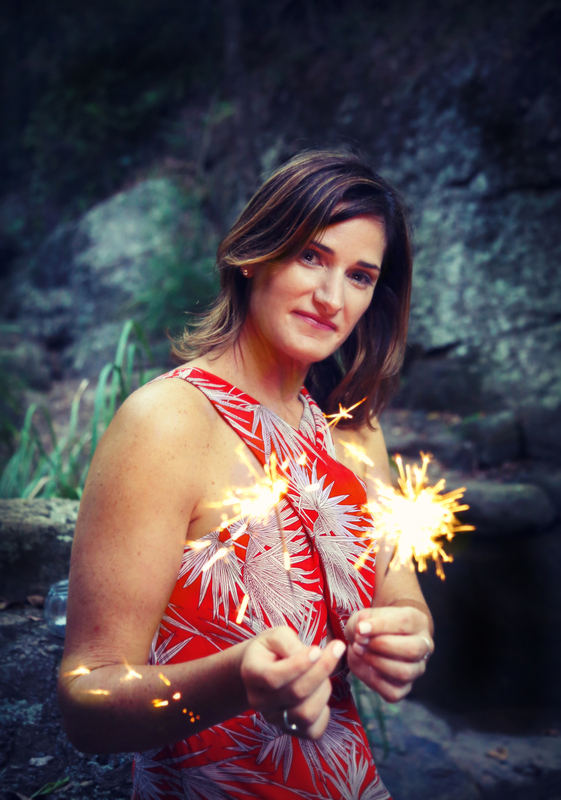 Sarah is a Level 5 Kinesiology Professional Practitioner (KPP) with the Australian Kinesiology Association and is also a member of the Australian Traditional Medicine Society (ATMS). Ignite the spark. Get your kindling here. Thank you! It is so nice to have you on this journey with me. My deepest hope is that through this journey, a spark is ignited within you to search deeper into finding your joy. I plan to share my musings on a regular basis (I'm aiming for fortnightly, but let's just see!) with the pure intention to connect in whatever form that takes. In the meantime, please say hello at sarah@ignitekinesiology.com. I'd love to hear from you.